Thursday can often be a quiet night in the NBA but that is not the case this week. There were a number of great games on Wednesday to look back on but if you want to get excited about what is coming, you’ll be delighted to know the Thursday night card has a number of major games. The Kings won away in Charlotte, defeating the Hornets by a score of 106-113 while the Celtics achieved a narrow home win against the Grizzlies, winning 95-92 in Boston. The Clippers grabbed a big win against the Thunder, the Los Angeles side 108-120 away from home. The Nuggets dealt with the Hawks, winning 115-102 in Denver while the Warriors defeated the Pistons 105-98 at home. The Bulls were convincing in Philadelphia, defeating the 76ers by a score of 95-104 while the Heat dealt with Brooklyn in Miami, winning by a score of 104-98. The Bucks defeated the Magic, 97-91 and the Suns were big winners against the Timberwolves, winning by 106-97. The Trail Blazers managed the Rockets tremendously, winning 105-100 in Portland. LeBron James knows an awful lot about success and he will look back on a career filled with many glittering moments. However, the player has suffered a few defeats and failures in his time and he will definitely consider the San Antonio Spurs to be a nemesis. Few teams have managed to block out James with the constancy that the Spurs have and this will be the first time LeBron heads to San Antonio after being shut out with the Heat in last years’ NBA Finals. James has only won 5 times out of 17 trips to San Antonio and his scoring record in San Antonio for regular season games is lower than it is against any other side. He knows that facing Kawhi Leonard is a tough task, and this is a game that could go right to the wire. The Cavs have a 41-25 record at the moment and this includes a road record of 17-16. The Cavs have a winning streak of 2 behind them and they currently hold a 7-3 record in their 10 most recent games. The last game for the Cavs was a 94-127 win away in Dallas on Tuesday. 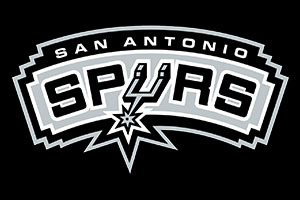 The Spurs hold a 40-23 record which includes a 24-7 record at home. They are currently on a 6 game winning run, which includes a Tuesday night home win against the Raptors, which they won by 117-107. The Spurs currently hold a 4-6 record in their last 10 games, which indicates quite a turnaround! For average points scored, the Cavs have the advantage, 102.9 to 101.6. For average points allowed, the Spurs have the advantage, 97.4 to 98.4. Of course, there isn’t a great deal between these two aspects, which further emphasises how tough this is going to be split the two teams. The Cavs are likely to be without Shawn Marion while the Spurs are monitoring Manu Ginobili and Tim Duncan. This is a game that the bookmakers can’t split, with Bet365 offering odds of 1.90 on both teams with no handicap. Given James record in San Antonio, edging with home advantage and the Spurs may be the smart decision. When a coach heads back to a former club, they want to do so in style and with great confidence. This isn’t how Derek Fisher is heading back to Los Angeles and with a five game losing streak for the Knicks, he will be desperate to get anything that he can out of this match. When the Lakers were clinching titles, Fisher was a key man and he holds a notable place in the history of the side. At the moment, he is holding all the bad places in the Knicks history and with a 12-51 record at the moment, the Knicks are the poorest team in the NBA. With Carmelo Anthony missing for the rest of the season, it doesn’t look as though life will get any better for Fisher or the Knicks in the near future. That 12-51 record includes a 428 record on the road and the five game losing streak is part of a 2-8 record in the last 10 games. 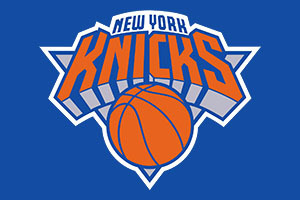 The most recent game for the Knicks was a Tuesday night loss in Utah, defeated by the Jazz by a score of 87-82. The Lakers have a 17-46 record, so they are hardly going great guns, and they have a 10-21 record at home. At least the Lakers are coming into this game on the back of a win, having defeated the Pistons at home by a score of 93-85on Tuesday night. The Lakers have a 4-6 record in their last 10 outings. For average points, the Lakers are ahead, 99.2 to 92.2. For average points allowed, the Knicks are ahead, 101.1 to 105.3. The Knicks are monitoring Quincy Acy and Lou Amundson while the Lakers are monitoring the fitness of Wesley Johnson, Jeremy Lin, Carlos Boozer, Kobe Byrant, Nick Young and Julius Randle. 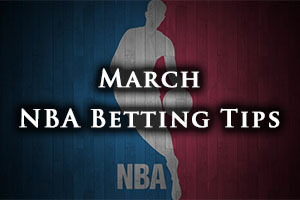 Taking the Knicks with a +7.5 handicap, at odds of 1.90, may be a good idea for this game. Bet Now! The Rockets are playing very well this season but even they have off nights, as was shown by their Wednesday night defeat by Portland, losing out 105-100. This came on the back of a 7 from 9 run which put them within touching distance of the Grizzlies at the top of the Southwest Division. The Rockets will need to get back on track as quickly as possible and this game provides an opportunity. The Rockets hold a 43-21 record this campaign which includes a road record of 29-12. The loss on Wednesday sees the Rockets hold a 7-3 record. The Jazz have a 27-36 record so far this campaign and this includes a 14-16 record at home. The Jazz have won three in a row, including Tuesday’s 87-82 win against the Knicks, and they have an 8-2 record in their last 10 games. For average points scored, the Rockets are way ahead, 103.2 to 95.0 and for average points allowed, the Jazz are ahead, 95.8 to 99.8. The Rockets expect to be without Dwight Howard and Kostas Papanikolaou while the Jazz have a clean bill of health. Taking the Jazz, even with a modest negative handicap, should be of benefit for people looking for a good return from Thursday. Bet Now!